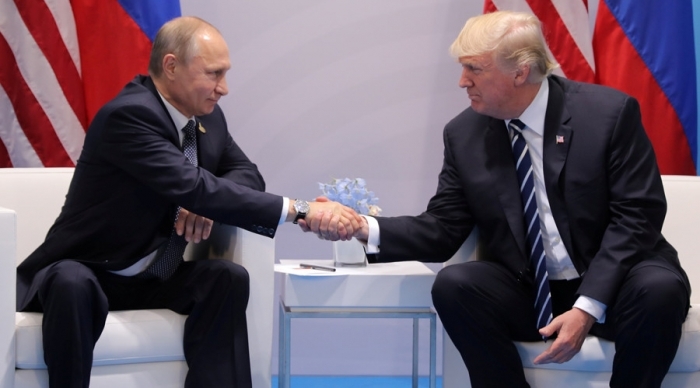 Russian Presidential Spokesman Dmitry Peskov did not rule out the possibility of a meeting between Russian President Vladimir Putin and US President Donald Trump in the coming months on the margins of major international events. However, no preparations have been undertaken so far, he added, TASS reports. "In the next several months, as we know, major international events may take place that will in theory be attended by both Trump and Putin," the Kremlin spokesman said. He also noted that most likely, Trump would not visit Singapore in November: "If our information is correct, the US President is not planning on going to Singapore." The East-Asia summit will take place in Singapore in mid-November. Peskov also reminded that the G20 summit would be held in Buenos Aires, Argentina on November 30-December 1. "However, so far, no preparations have been made (for the Putin-Trump meeting), we have not taken any initiatives in this regard," the Kremlin representative concluded.